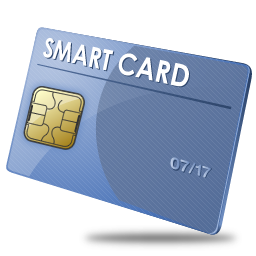 Magicard Smart Card | Smart Card | Esskay Technologys Pvt. Ltd.
You expect the best protection from your security products. Take control of your Proximity card business by printing and encoding custom proximity cards on demand for customers. UltraSecure manufacturing centers are military-secure and certified by ISO 9001, Visa, Master Card, and American Express. Easily order ready to print credentials with fiduciary designs such as guilloche or micro text. Secure personalization machines can add a customized watermark or personalized UV printing to credentials at the point of issuance. Dimensions R-80 size. 2.125” x 3.370” x 0.030” ± 0.003” nominal. (54 x 86 x 0.76 ± 0.076 mm). Operating temperature range: -50˚ to 160˚F (-45˚ to 70˚C). PET constructed cards may have larger range of operating temperatures. Read range: Up to 20cm depending on reader type and operating environment. Operating specifications: 125kHz communication standard. Programming customizable from 26bit standard. Secure production Manufacturing centers are certified by ISO 9001, Visa®, Master Card®, and American Express. * when used with Prima 4 printer, ** when used with Rio Pro printer.